A commission from Artangel & BBC Radio 4. Master Rock is BBC radio broadcast and series of site-specific performances recorded live inside a granite mountain on the west coast of Scotland. I was awarded the commission by Artangel and BBC Radio 4 as part of their annual Open. Ben Cruachan is one of the highest peaks on the west coast of Scotland. 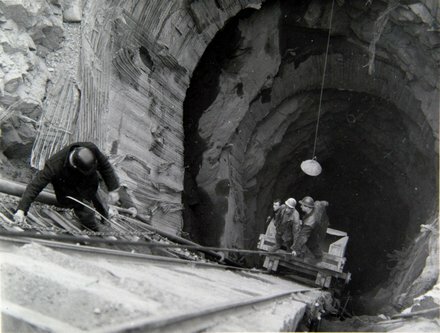 In the early 1960s the 'tunnel tigers' blasted their way through the 450 million-year-old granite to hollow out a vast chamber for a new power station. Opened by Queen Elizabeth II in October 1965, Cruachan Power Station was a triumph of brute force and state-of-the-art technology. Storing, and then regenerating at times of high demand, excess energy from the national grid by pumping water up to a reservoir 1000 feet up the mountain into Loch Awe. It remains an important part of the national grid today. I've conceived Master Rock for three voices and live sound from the mountain, composed on site by Olivier Pasquet. 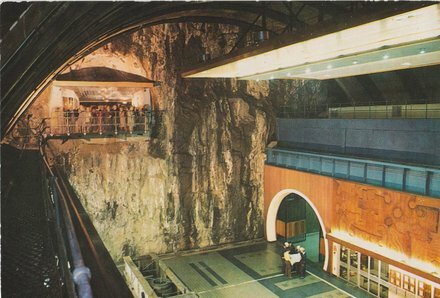 My narrative gives voice to the ancient granite itself, and to two figures closely involved in the story of Cruachan: John Mulholland, one of the few surviving tunnel tigers, and Elizabeth Falconer, the artist who made a vast mural inside the turbine hall to celebrate the opening of the new power station in such an ancient landscape. The script is published in a book accompanying the project, co-published by Artangel and Book Works.